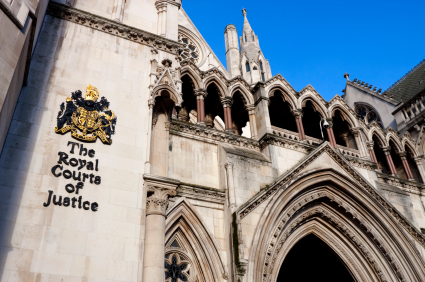 Formal legal proceedings have now been issued at the High Court against the Government’s decision to grant permission for fracking in Lancashire. The legal challenge has been issued by the Preston New Road Action Group (PNRAG), represented by law firm Leigh Day. This follows a letter before action, which was sent to Sajid Javid MP, the Secretary of State for Communities and Local Government last month requesting the Government reconsider its decision. The Secretary of State refused to reconsider his decision, so PNRAG’s lawyers have applied for a statutory review of the decision under section 288 of the Town and Country Planning Act 1990. PNRAG argue that the Government’s decision to overrule Lancashire County Council’s refusal of planning permission for fracking in Fylde, Lancashire is unlawful because the decision is fundamentally flawed as it failed to properly apply relevant planning laws and policy. On 29 June 2015, Lancashire County Council refused planning permission to Cuadrilla Bowland Limited to use a site off Preston New Road for fracking. Cuadrilla appealed this decision, which, following a public inquiry, was recommended for approval by an Inspector and then confirmed by the Secretary of State on 6 October 2016. The government’s decision to allow fracking in Lancashire is only the second license to permit fracking (as opposed to purely exploratory work) in the UK. The first was in relation to a site in Ryedale, North Yorkshire in May 2016. Leigh Day is representing the claimants challenging the decisions in both cases. “This application was conclusively rejected on sound criteria, through local planning systems at Lancashire County Council. That decision should stand. Local planning and local democracy exist for a purpose, it is best placed to protect and understand local interests. It is hoped that a hearing will take place at the High Court early next year.